Kathak is one of the eight classical dance styles of India and is one of the most theatrical and dynamic art forms in the world. Kathak is derived from the word katha, meaning ‘story,’ as it is used to recount mythological, royal and contemporary histories through dance. It also uniquely combines aesthetics from both Muslim and Hindu cultures of Asia. There are three major styles or gharanas of Kathak: Lucknow, Jaipur and Benares. We teach the Lucknow style. 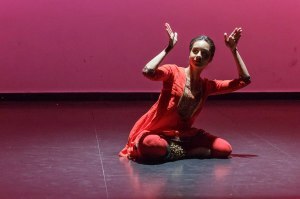 WHO CAN STUDY WITH M-DO/KATHAKTORONTO? The reason to study Kathak varies for each student. 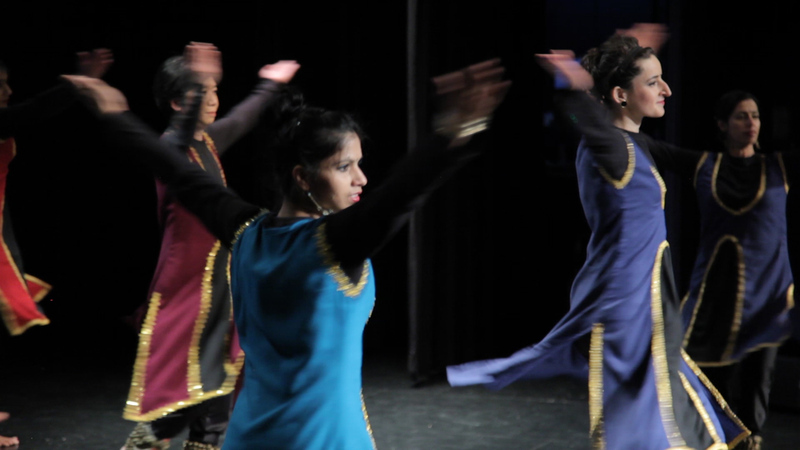 M-DO/KathakToronto, strives to create a holistic and inclusive community where students can come for exercise, for recreation, to improve their understanding of north Indian culture or to improve their spiritual and psychological well-being, vital to taking care of overall health. Students may also desire to become professional dancers, and will, through guidance and personal practise, develop a deeper understanding of this codified classical dance form. We offer different class levels to facilitate these goals. HOW MUCH TO CLASSES COST? M-DO/KathakToronto has very affordable rates. Classes are $20/class. If you attend two or more classes/week, the rate/class reduces. We also offer a family rate for two or more members of the immediate family. CAN I AUDIT MY FIRST CLASS AND THEN DECIDE TO REGISTER? At the beginning of each new session, we offer a FREE trial class for all new students, at every location. It is most important to us that students are happy, and have their expectations met. HOW LONG IS A SESSION OF CLASSES? At our Scarborough and Brampton locations, the year is divided into three sessions (Sept-Dec, Jan-Mar and Apr-Jun). Our Downtown Toronto Branch offers similar sessions from September-June, as well as a summer session and during July and August. At all locations we follow holidays as per the School Board calendar year. Some years, we also offer summer camp and summer weekend intensives. IS THERE ANY BASIC ETIQUETTE IS SHOULD KNOW ABOUT? This beautiful dance form brings with it many cultural and artistic influences. The most important piece of etiquette is to arrive ON TIME, and in proper class attire as a token of respect to your community of dancers and the teacher. We request a simple dress code of cotton shalwar kameez or kurta and pants. If you do not have these, students should wear loose fitting clothing that allows for free movement of the body. 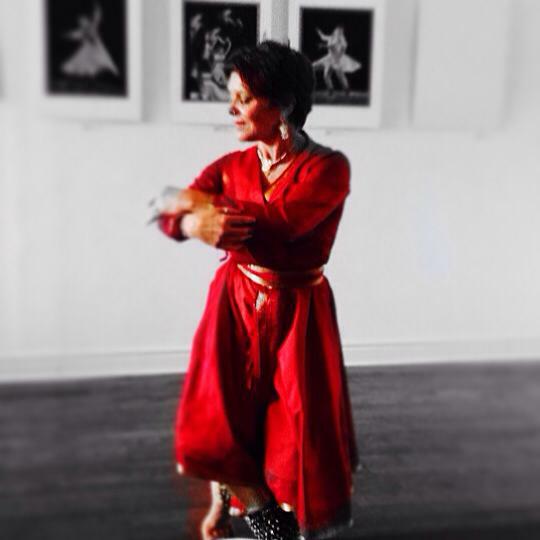 Kathak requires bare feet only and hair must be tied back away from the face. No jeans or shorts please. What are ghunghroo? Should I bring my own ghungroo? When should I start wearing ghungroo? Ghungroo are the strings of brass bells worn by kathak dancers. Beginning students do not wear ghungroo. They are used only after the student demonstrates an understanding of the basic rhythms that enable them to become a musical instrument as well a dancer. Once this has been achieved, and at the teacher’s discretion, students wear ghungroo for all classes and performances. Professional quality Kathak ghungroo are available through our institution, and upon receiving the ghungroo, students are encouraged to formally honour the wearing of them in a special ceremony that is open to family and friends. WHO DO I CONTACT IF I MUST MISS A CLASS- WILL I RECEIVE A CREDIT? Should a student miss class, they are required to leave a message on the office line 416-504-7082, and email the teacher directly. A student can attend a make up classes within the same session, in lieu of the the missed class. We do not offer refunds. If M-DO/KathakToronto must cancel a class due to weather and/or space permit cancellation, staff will update the message on the office main phone line. Please see our policy posted under Inclement Weather in the ‘class’ section of our website. If a teacher is ill, staff will directly email each student. These classes will be credited to the student. M-DO/KathakToronto presents the annual student recital Traditions Alive, where all students get a chance to perform in a professional setting. We present these recitals each December. These performances offer students the opportunity to build important life skills such as planning, preparation, team building and execution in a community environment. The performances are geared to give the student a deep sense of pride and accomplishment. With time, desire, commitment and ability, a student may choose to audition for our professional CHHANDAM Dance Company. DO YOU OFFER EXAMS AND WHAT IS THEIR PURPOSE? Examinations are held each June. Teachers clearly articulate class curriculum and expectations during classes throughout the session. The exams offer students an opportunity to demonstrate their learning, as well as identify specific skills with room for improvement in a constructive and collaborative environment with the teacher. I WANT TO START STUDYING- WHAT DO I DO NEXT?